Onsite or visit our office! $99.00 per hour including gst or ask for a flat fee if you know what problems you are having. NO CALL OUT FEE AND NO HIDDEN CHARGES. Starts from $25.00 per hour depending on your location. Advanced booking must be made to secure time! We educate from the ages of year 5 students to adults. 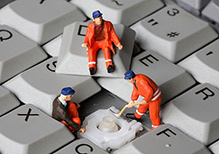 Let our team of experts come to you with onsite IT support services. With technology being such a large part of running a business these days, all devices need to be functioning at peak efficiency. You should also ask about our professional website design and development for both small and large businesses. With multiple packages available, you are sure to find the right service for you at prices that won't empty your wallet. While using our onsite IT support services, why not also take advantage of our onsite tutoring services. We will instruct you in a professional manner while also omitting the IT jargon. Secure time by booking in advance, just fill out the form below or simply give us a call. Are you in need of computer repairs in Sydney? Let our team of experts assist you in getting your devices back up and running. We know as well as anyone that a business runs on technology, and if your technology runs slow, or fails, the chances are, you are losing time and money. By letting us handle your computer repairs in the Sydney CBD area, your business will achieve maximum productivity. When it comes to repairs, we make sure that we stay informed and up to date with the latest techniques, this means that we can truly say that we are one of the best at laptop repairs in North Sydney. If you are in need of urgent repair, we understand and will accommodate. Our computer repairs in Sydney are available when you need them at a price that you can accept. When dealing with computer repairs in North Sydney, we offer a free evaluation. At the end of the evaluation, we will tell you exactly what the price of your computer repair is with NO hidden fees. If you need computer repairs in Sydney, look no further than Computer Repairs R Us. Small and large organisations alike can gain peace of mind with our onsite IT support in Sydney. We have over 15 years of expertise in onsite IT support services and these services will never force you into a locked-in contract. Ensure your onsite IT support services are done right and leave the complicated parts of business to us with Australia's best onsite IT support services. We can also remotely login to repair software Australia-wide. We even offer dust cleaning. This means that you can be assured of clean and functioning equipment. Do not risk damage by cleaning with vacuums, let a professional handle it. Computer Repairs R Us we do not charge a call out fee! Most computer companies will charge a call out fee and charge by the hour. Computer Repairs R Us provide quality professional services and add value to your money. Mobile Onsite Computer Repairs Starts as low as $99.00 an hour including GST for Residential Clients only. Or ask for a FLAT FIX FEE if you know what problems you are having. We ensure that our customers are aware of the costs upfront. IF you bring your computers to us we will FIX IT ON A FLAT FEE BASIS. For eg most virus removals cost as low as $88.00 including GST. We have different packages that can cater your business website needs. Get your own professionally designed business websites from only $110. Starts from $35.00 per hour depending on your location. Purchase 5 lessons and the 6th one is free. There are no call out fees but depending on your location there may be a small fuel levy charge. Enquire today by filling out the form below or simply give us a call. If you would like to bring your PC or Laptop please give us a call so we can book you in. We are flexible in terms of urgent repairs. We always look after in the best interest of our clients. A free evaluation will inform you what the cost will be. There are no hidden charges we believe in providing a fair rate. All workshop work will be carried out in a timely manner to ensure the top quality work. All Laptop screen replacement or any other computer parts which we may need to be ordered from the manufacturer will require a 50% deposit. 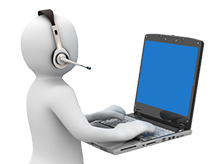 We can remotely login to repair any software issues which you may. This services is available Australia wide. Starts from as little as $27.50 excluding GST. For more complex issues we provide an upfront flat fee. No hidden cost we come onsite to carry the dust cleaning services. If you have more than 1 computer to clean we will provide you with a custom quote. Whether you are a business or residential computer user each computer must be cleaned every 6months to ensure the dust is not clogged in the air ventilation. Just like a car needs a service your computer also needs to be cleaned by a professional. Please do not use a vaccum as in the past many clients have tried to do this but they ended up damaging their computer. Hence costing them more to get it fixed. Our professional dust cleaning personnel uses a specialised air compressor to prevent any damage to the circuit board and power supplies. This delicate process must only be completed by a professional. At Computer Repairs R Us we gurantee that you will see the difference once the computer is cleaned. Copyright © 2009 - 2019 Computer Repairs R Us. All Rights Reserved.